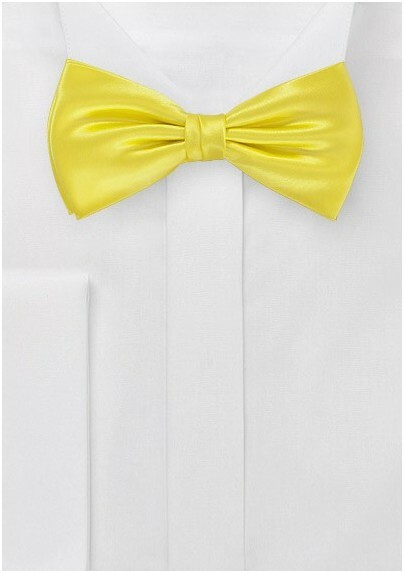 Try this bright lemon hued pre-tied bowtie to bring more sunshine into your life. With an honest and unmistakable color, others will not be able to resist your fun signature style. 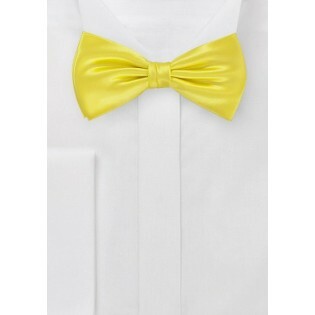 This is the perfect bowtie to ring in the Spring and Summer seasons, or wear this dapper piece to a wedding. Created from the finest silk coming from Italy, the craftsmanship is unmistakably sharp. Pair your newest accessory with a very light gray button up. You could evern wear this piece to a brunch event if you are feeling particularly brave. Throw on a soft cashmere cardigan over your shirt, and you are good to go.